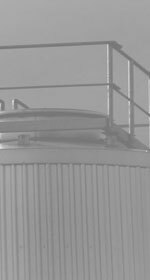 In the industrial sector, anaerobic digesters are used as a primary treatment unit in the effluent treatment chain. Electrigaz offers study, design, project management, digester start-up, digester optimization, biogas utilization engineering services to industrial owners and operators. Moreover, Electrigaz offers optimization and troubleshooting of existing anaerobic digestion systems.